American Barbell’s Stainless Steel Bearing Bar includes vast variety of benefits and features which no other barbell in the market is able to deliver. The technology in American Barbell’s is embedded in such a way, that they have the ability to spin smoother and longer, even at the heavier weight, thus providing no choke or clang to the barbell. The bar shaft is constructed with precise align stainless steel. The shaft’s compatibility of strength is tested with raw material to make sure that they are providing an exact 190,000 PSI tensile strength. With so much focus on specifications, it also produces an excellent whip and durable performance of the barbell. Though stainless steel is corrosion resistance, it can also be cleaned and repaired without having no damage to the barbell. With an addition of knurling set in stainless steel, it provides an esthetic feeling while lifting while, which is very hard to found in other barbells. 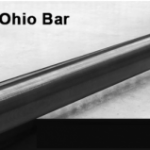 The sleeves of the bar are accurately welded to reduce the need of any failure in future. Though, American barbell makes sure that the weld doesn’t come towards plate holding disk, which will give a bad design. Coating of hard chrome is done on each sleeve to make them withstand any certain drop. Sleeves also have American Barbell’s proprietary included bearing system with heavy load ratings than any other barbell available. A chalk and dust seal is also included to make the bearing life, as longer as possible. 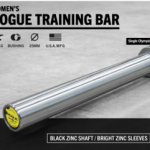 American Barbell’s Stainless Steel Bearing Bar comes in the list of, one of the best Olympic bars. Though with that factor, they are also included in the list of one of the expensive ones too. The basic and standard specifications is very much like Rogue Olympic Weight lifting bar. They both have a weight of 20kg, along with 28mm Olympic bearing and an aggressive tensile of 190,000 PSI. Stainless steel is superior when compared with every other shaft material or finish like chrome, black zinc and black oxide. Not only they are oxidation resistant but also provides a comfortable and secure grip which no other finish can compare to. Having an aggressive knurling pattern, doesn’t really mean that bar will going to stick to your hands, thus it will provide a secure grip that will help you to work out much longer. 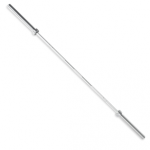 The American Barbell Stainless Steel bar comes in the list of only two bar shafts that have a maximum rating of exactly ten for grip and knurl quality. The design of the sleeves are very extravagant and are chrome resistant. With a rigid and secure grip, the bearings gets the tendency to handle heavier weight, thus providing smooth and secure grip even after. 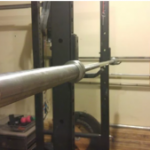 American barbell’s stainless steel bar is a multipurpose bar, having all such benefits and features it comes with a reasonable price for this beautiful piece of equipment. 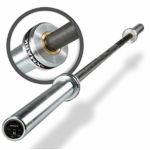 TheAmerican Barbell Stainless Steel Olympic Barprovides a variance in bearing system than any other Olympic bars. The speed bearings in most of the Olympic barbells have the ability to spin continuously for couple of minutes even with no weight. As far as American barbell is concerned, it consist of proprietary bearings in which the maximum load supported is 42000 PSI as compared to industry bearing which are only 25000 PSI. Thus, making the sleeves to rotate quietly, smoothly and reliably with any amount of weight. This spin of the bar is never loosen, even with heavy weights the spin doesn’t shows a sign, that the weight has compressed the bearing cartridge and start creating a drag. There are also some minor things that should be taken in account regarding sleeves, that the look of the shaft is very eye warming because precision welding is done which is joining the sleeve collars to the sleeve shaft. Thus, giving the bar a very different and unique touch. With an extra layer of hard chrome applied to the sleeves to protect them from scratches while loading/ unloading the weight plates and eliminate the chance of chipping chrome. Though Chrome doesn’t really chip off and is resilient than zinc and oxide, just to give a user satisfaction, American barbell took this step. he etching of American barbell’s stainless steel bar gives a very comfortable feel than any other Olympic bar has the ability to give. Though the grip isn’t very rigid, neither will it dig up your hands like most of traditional barbells do. But In fact, it’s a secure adjustable grip which you can handle easily without having a use of chalk or gloves. The bar is IWF standard having a weight of 20kg with a length of 2200mm. Comes with IWF specification Olympic markings with a center knurl supported. Have a 28mm IWF specification shaft. The bar is stainless steel which is corrosion resistant. Sleeves are constructed with hard chrome having a 50mm length and 16.3” loadable length. Moderate knurling on stainless steel provides a comfortable secure grip. Proprietary heavy-load bearings having internally dust/chalk guards. Sleeves are double snap-ring assembled. In my opinion, American barbell’s stainless steel bar is a type of barbell by which it is not really easy to get rid of it. This extravagant bar is very nice which gives you the exact and better feel than any Olympic bar I’ve worked with. The bar is very durable and can withstand wear and tear without giving bending, breaking or destruction of sleeve plates. The look of the shaft is same from the time I purchased it, same goes for sleeves. The thick sleeves of Chromes prevent scratches from loading/unloading of plates. As being a professional weight lifter, this bar is recommended mostly for experts or serious intermediate Weightlifters and to the one who are experiences in CrossFit. 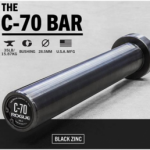 If you are intending to purchase this bar for strength training and power lift, this I think with respect to its price tag, this bar is not a right pick to choose. It is suggested to look for a recommendation by an experienced weight lifter or gym trainer before purchasing this bar because this is quite a lot expensive. Though there are plenty of uncertified bars that also gives high-performance and with that IWF sticker they makes a fool out of people. Overall, this bar is quite affordable with respect to its aspects and benefits, coming with high quality stainless steel with a smooth and comfortable feel. The bar comes with a great spin rotation even at heavier weight sets it rotates with excellent whip. A thick layer of chrome is used to prevent the sleeves from scratches while loading/unloading. 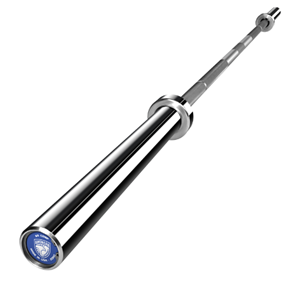 The barbell consist of proprietary bearing which have the ability to hold up to 42000 PSI load.